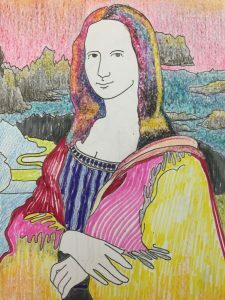 In October 2015, Connect2Culture, Post Art Library, and Spiva Center for the Arts launched Coloring Book Club (CBC), with plans to meet every other month, alternating between the library and Spiva, for one year. Our goal was to offer adults a well-deserved “brain break” without expectations while promoting mindfulness and self-expression, reducing anxiety, and strengthening community. Now that we’ve met that goal, we’ve considered feedback from CBC-goers and reassessed to determine the best way to move forward. Although Connect2Culture and Post Art Library had a wonderful time helping to launch this fantastic club, Spiva is taking the lead. Starting in January 2017, ALL Coloring Book Club meets will be held monthly at Spiva Center for the Arts on the second Saturday of each month, 10:30am-noon. We believe that participants will have a better experience with monthly meetings at a consistent location. Plus, this location eliminates the need to register for meets–simply show up and color! If you have any questions about Coloring Book Club, then please contact Spiva Center for the Arts at 417-623-0183 or visit their website at www.SpivaArts.org. Thanks for the great year and color on! We're located inside Joplin Public Library at 1901 East 20th Street in Joplin, Missouri. Our reading room and galleries are open 7 days a week. Because we're a not-for-profit, donations to Post Art Library are tax deductible (to the fullest extent of the law). We accept donations by check and Paypal. We present art exhibitions and display collections inside Joplin Public Library for the benefit of the community. If you'd like to share your art or your collection with us, then let us know!